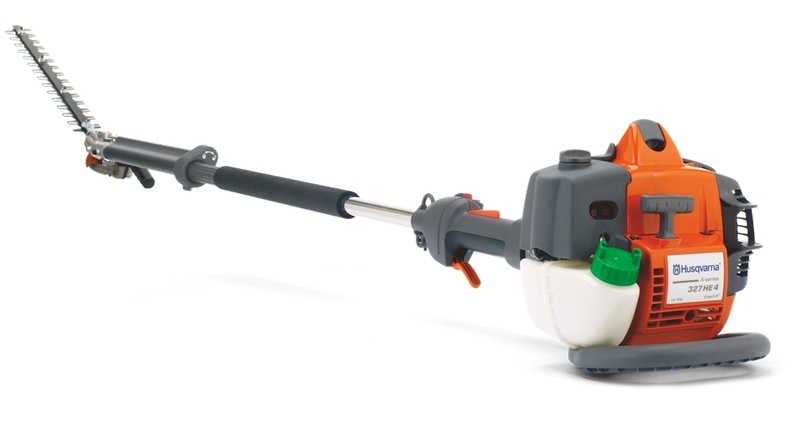 Flexible, professional pole hedge trimmer with an adjustable cutter bar and extra long pole. Exceptionally comfortable and easy to use when cutting taller hedges, without having to use a ladder or cherry picker. The machine can offer a very long cutting reach and the articulated head positively locks in any position. It has taper ground adjustable blades and comes with a harness. It also features: - comfort handles, a remote control for adjusting cutter bar, a rear impact guard and an arm rest. Also the cutting deck can be angled.